Identify if your hotel is compliant with authorization rules impacting profits and risk in just a few minutes. Card absent rules for card acceptance changed dramatically since April 2017, and in particular for the hotel and lodging industry. Rather than detail the complexities from over one thousand pages of official card acceptance rules, here’s some easy ways to identify if you have a problem. All bullet items have avoidable penalty fees due to authorization issues. Any time that happens, you pay penalty merchant fees and risk chargeback. Even if you usually win chargebacks, it’s an inefficient use of time. This quick fact check is just a tiny piece of rules changes I’ll help you get compliant with. 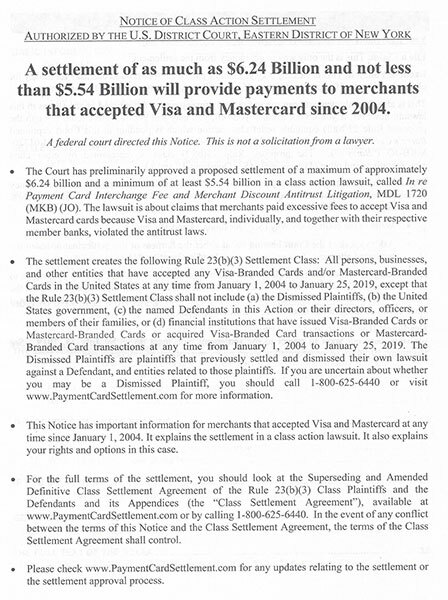 MasterCard began charging a 0.25% penalty fee, on top of other fees, in 2018 for non-compliance with Final Authorization. How can merchants fix authorization problems? Transaction management technology, including for managing authorizations. Most problems are due to payment gateway limitations, but could also be outdated or improper payment gateway integration, or some specific piece of software limiting payment gateway functionality. Payment gateways often struggle just like merchants to keep up with the fast pace of changes in payment processing, so while the solution still works, it’s just not helping merchants to maximize profits and minimize risk. 1. Sales invoices, deposit needed. Sales can push out deposit request via text or email; customer self-pays, authenticates identity, and stores card (if needed). This is a much more professional interaction. Nobody likes paper credit card authorization forms due to risk of identity theft. 2. Direct bill accounts. With our quick invoicing, accounting can upload an invoice and we take over the delivery, payment collection, security, authentication etc. 3. Third party authorization form. Forget the paper. Our online form checks all the boxes you need to get compliant with card acceptance rules, protect against fraud, reduce PCI Compliance scope, and mitigate data breach risk. Available as SynXis integrated solution or standalone. Keep your current Point of Sale service provider. Our solutions fix problems that haven’t been addressed for a decade- getting cardholder data out of the hands of employees and systems while shifting fraud liability risk to issuers. Plus, our optional 2-Way texting is a game changer for Guest Services, concierge, and sales. Proven to boost customer satisfaction via follow up surveys and increased sales. Differentiate your brand with higher security. Since the issuer is guarantees payment with cardholder authentication, it’s actually cheaper to process some credit cards! Call Christine Speedy, PCI Council QIR certified, for hotel Online Credit Card Authorization Form solutions at 954-942-0483, 9-5 ET. CenPOS authorized reseller based out of South Florida and NY. CenPOS is an integrated commerce technology platform driving innovative, omnichannel solutions tailored to meet a merchant’s market needs. Providing a single point of integration, the CenPOS platform combines payment, commerce and value-added functionality enabling merchants to transform their commerce experience, eliminate the need to manage complex integrations, reduce the burden of accepting payments and create deeper customer relationships.